century – an era of great food, glamour, and tableside showmanship. 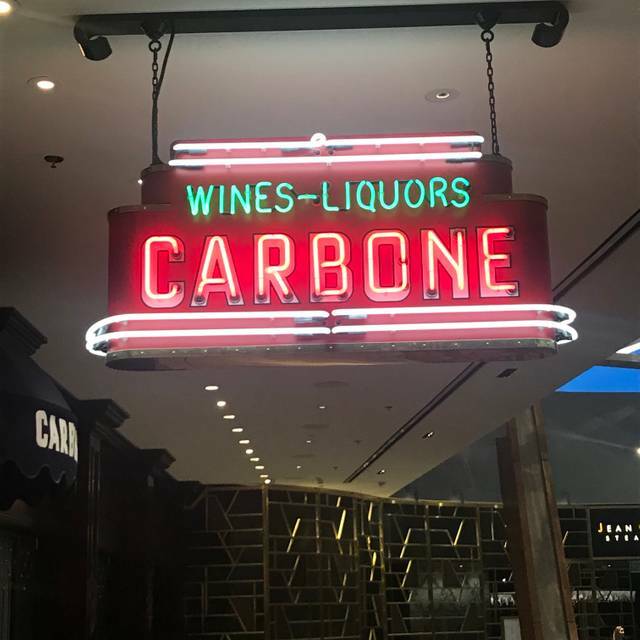 Carbone tirelessly sources the finest products to create indulgent masterpieces including crowd favorites such as Spicy Rigatoni Vodka, Lobster Fra Diavola, and Veal Parmesan. Guests are guided through the feast by Carbone’s iconic Captains who deliver its unique attitude creating an intimate dining experience impossible to find elsewhere. remarkable setting with unforgettable service and contemporary nostalgia. 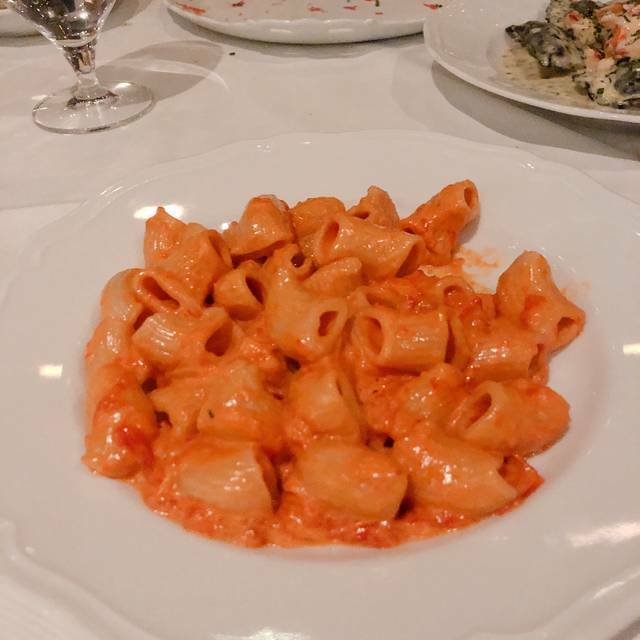 Authentic, delicious Italian food, and we're Italians and know the difference. Such an amazing dinner! Santiago made us feel like the only people in the restaurant. Highly recommended. Outstanding bartenders, Rob and Kirk, and great food! LV was a stop over for us on our way to a hiking trip in Utah. It was Easter Sunday so we decided to have a proper Easter dinner and chose Carbone (1; We know Carbone from NY. 2; We could walk to it from the Waldorf where we were staying). Portion sizes are huge. I mean like enormous. Be careful! Good, service terrific. Food and service was excellent! There have been some comments about prices, but most dishes will serve two. Dover sole was $110, but was perfect size for sharing. We shared a pasta (rigatoni alla vodka, $31, entree and dessert (carrot cake) and it was perfect amount of food. There are so many good restaurants in Vegas, but this is one of my new favorites. Prices are not for the faint of heart, but for a special occasion, this is the perfect place. Great service, great food. We were so excited to be going there, but was disappointed, we were seated at a table that felt and looked like it didn't belong there. The helper to Maitre D was great very attentive. Maitre D was ok he was not as attentive as we feel he should have been. Appetizers were good and well presented. 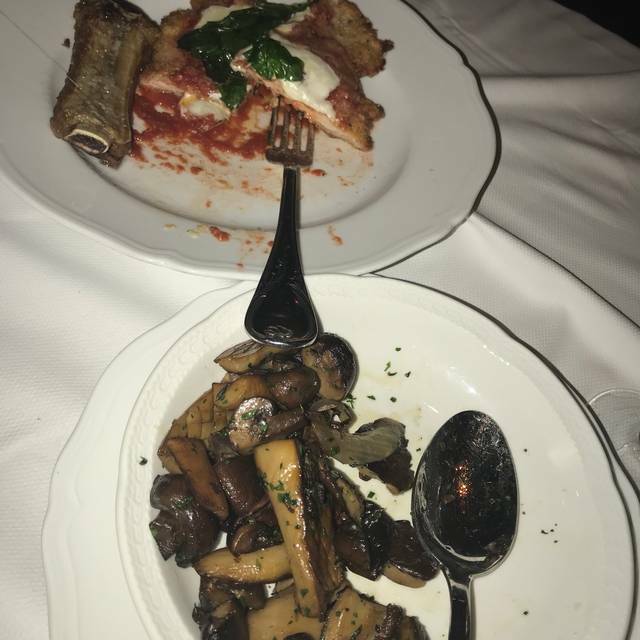 My main course was good, but the rest of my family was disappointing, the Eggplant Parm is huge, it lacks sauce and cheese and I feel the price doesn't justify it. Too expensive its vegetables for crying out loud. Didn't order anything else, we just wanted to leave. We felt like they didn't want us there. We live in NYC and were going to try the one in Manhattan, but after our visit to the Las Vegas one we feel we will pass. I cannot recommend this restaurant. Maybe it was an off night, but I will not be giving it another chance. Our favorite place! Exceptional service! Tasty 😋 food. Try Branzino and Caesar salad prepared table side. Delish! Mediocre overpriced food. 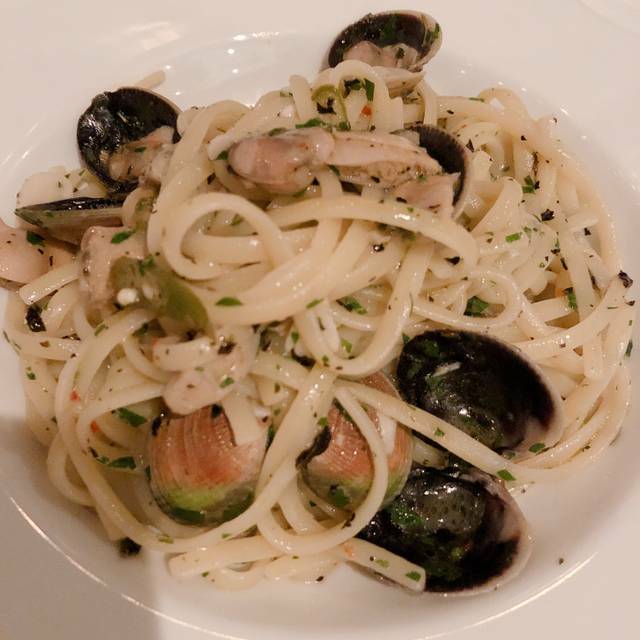 Linguini Vongole was too spicy and drenched in oil. Chicken Massimo was undercooked. Really disappointing dinner. Good restaurant. Not nearly the best on the Vegas Strip. From a value standpoint was over priced. Wonderful old school Italian restaurant in the Aria Hotel. On the second level, it was tucked away for a nice, quiet environment that made it easy to talk and enjoy our meal. The service was some of the best I've ever experienced. Our wait staff was outstanding. Most of the food was prepared (salads) or prepared for service (deboning fish) table-side. Everything we tasted was outstanding from the ribs to the lamb to the pasta to the fish. Breads and sauces exceptional as well. The food at Carbone is really amazing however the portion size of the pasta and salad dishes is quite small for the price. The Eggplant Parm is the best I have ever had and I would highly recommend it. The restaurant has an extensive wine list which is very nice but prepared to pay for it. There two of us and we were seated in a booth for 2 which was cramped and uncomfortable. Made me want to eat and leave as quickly as possible and so much so that is overshadowed the food and service. I have been to carbone 20 times. It was my favorite place in town. The service was so bad on my last visit. I’m not sure I would recommend in the future. Food was amazing. Service was abysmal. 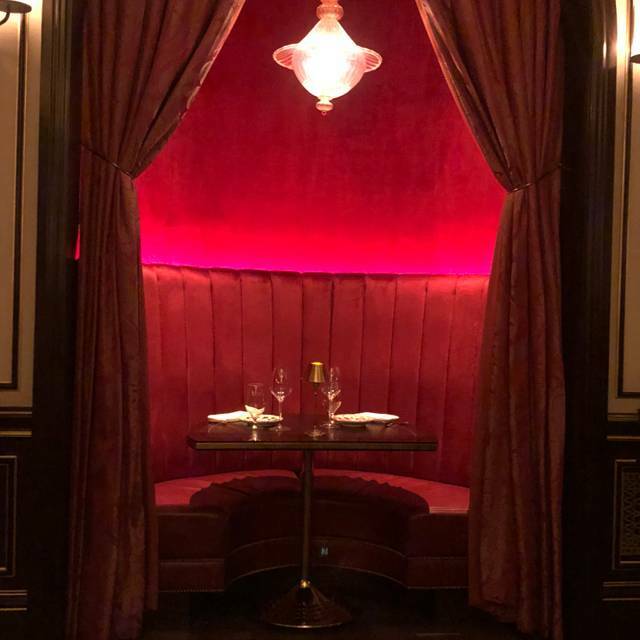 Carbone is our favourite place to dine in Las Vegas. Great music, ambiance, patrons , staff and amazing food. It’s a fantastic outing. Great way to enjoy an outstanding dinner in a great venue. Super staff, delicious food, enough said. The food and service at this amazing restaurant is unbelievable. This is by far one of the best Italian restaurants we have ever visited, aside from the food portions ( for the price) everything was perfect. 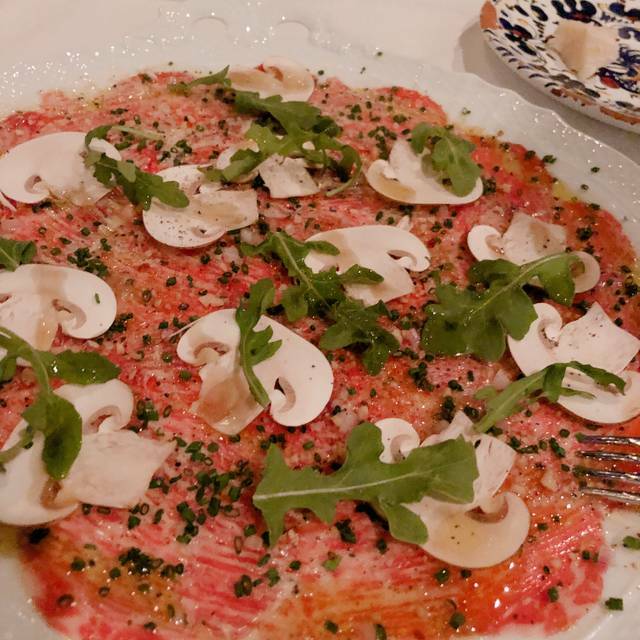 We had the beef carpaccio and their famous spicy rigatoni dish and both were outstanding. For desssert we had the Nutella TIramisu and that also was very good, definitely worth the visit. Great food! I’m a foodie, and I was surprised by how good it was. 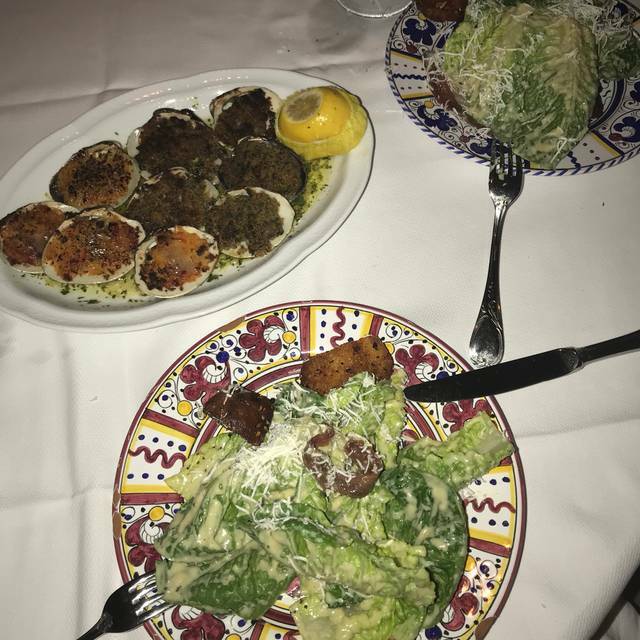 Had the lobster cocktail, Caesar salad, and lamb chops. Som was very knowledgeable as well. The lamb chops may have been the best I’ve ever had! Six of us were in town for the weekend. We decided to eat at Carbone before going to see the show “O” because ithe menu items sounded great and the restaurant was fairly close to our hotel and to the O venue. Wow were we impressed! Our waiter was very helpful in assisting us in how much to order for each course as much to our pleasure, the food is served “family style”. We all got to try everything we ordered so this was a special bonus. The food at each course was expertly prepared and was absolutely delicious! We loved the food and loved our experience and can’t wait to go back! The food and service were spectacular! The sommelier’s recommendations were sensational! It was the second time dining there and will definitely be back! Great food, service, and atmosphere. We eat there every time we visit. All around excellent meal. Food was very well prepared and tasty, excellent selection of wines and whiskey. Our server, Bonnie, was absolutely fantastic and took great care of us. One of the best dining experiences we've had in a very long time. Great food. Do yourself a favor and get the rigatoni vodka. Awesome service! The food and service was top notch. Atmosphere beautiful too! Def going back! Outstanding. 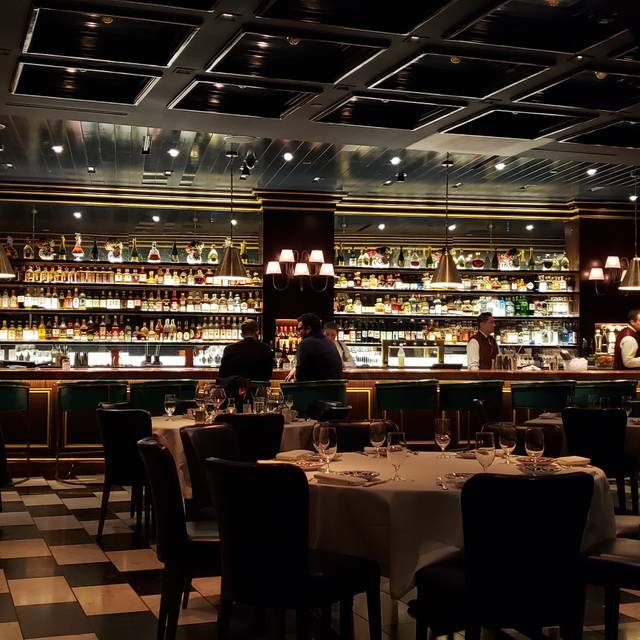 From the atmosphere, to the service, to the food - everything at Carbone is incredible. Highly recommend. They did not have my seat as reserved and were unapologetic and dismissive about it. What’s the point of having a reservation if they are going to make me wait an hour before seating me. Very rude, will not be going back. We love Carbone. Great food, great vibes, great service. The cesar salad & spicy rigatoni is life. Great experience, great food, shareable portions. Extensive but pricy wine list. One of the best restaurants we've ever been to. The ambiance was incredible and the food was amazing. Our bartender was fantastic, but our waiter was kind of rude - otherwise 5-stars across the board! Cant wait to go back!!! Our daughters birthday!! Service was wonderful and the food was great!! We had such a nice time. The food is really good and delicious. They're very generous with everything. 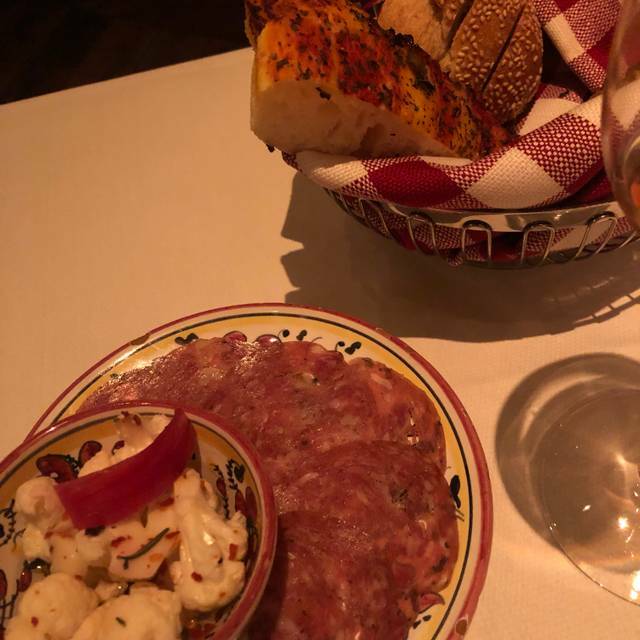 For example, when we arrived at the table we didn't get your average bread basket, we got slices of delicious bread, garlic bread and picante salami. Who does that? Then, they followed it up with freshly-cut chunks of Parmigiano-Reggiano. The wine choices were wonderful, on the pricey side but worth it. It's family style so two of us shared an appetizer an entree and our husbands shared an appetizer and two entrees. After dinner we had two delicious desserts and then they brought out a bottle of limoncello and sambuca where we could pour them ourselves!! That is exactly how they do it in Italy. I was very impressed.